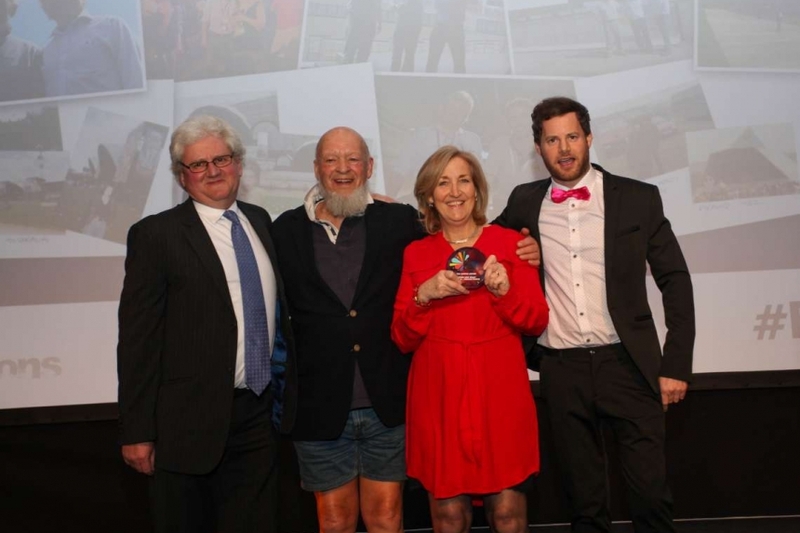 Glastonbury Festival’s Michael Eavis presented Steven and Holly Corfield the prestigious Industry Legend Award, with the company’s Max Corfield and Simon Fursman also collecting the Best Staging Award at the 2019 Event Production Awards, London, March 14th 2019. “Having been a neighbour of Steven and Holly’s 45 years ago, I used to regularly bail them out on the farm. Then when I started Glastonbury, Steven helped me build the first wooden Pyramid stage and I gave him his first paid staging job! Since then, Serious has continued to supply stages to Glastonbury – and I am delighted to report that they are far better at staging than they were at farming!